Congratulations to Dr. Bin Gu for his new publication in the journal of clinical investigation! 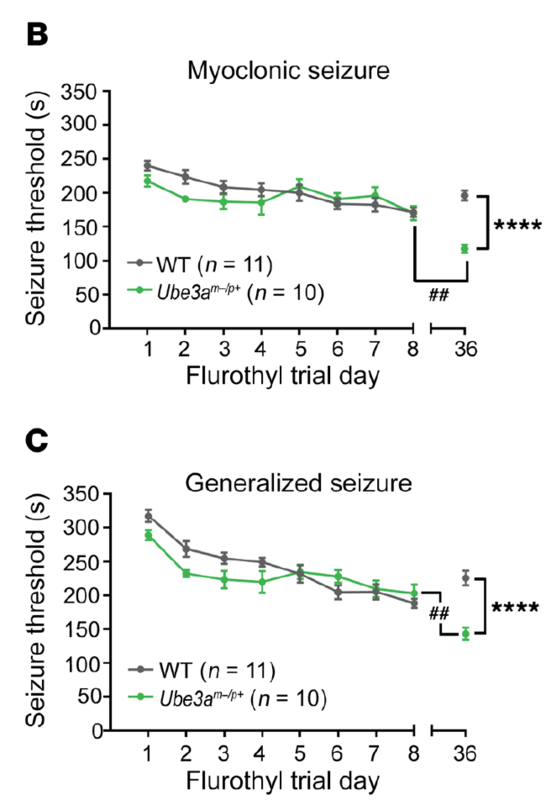 He used the flurothyl kindling and retested paradigm in AS model mice to assess epileptogenesis and to gain mechanistic insights owed to loss of maternal Ube3a. For detail information about his findings, please click this link. Dr. Matt Judson and Dr. Ben Philpot wrote an opinion article about the therapeutic strategies for Angelman syndrome. Here is the link! 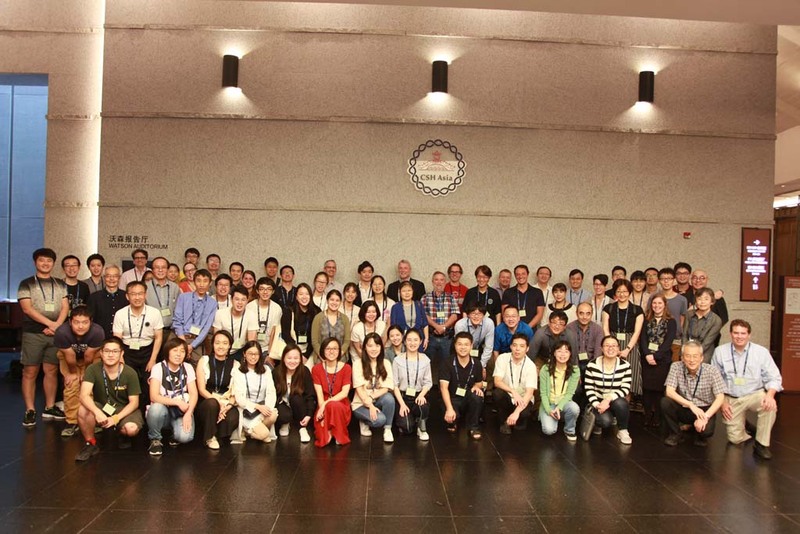 Dr. Ben Philpot and Dr. Bin Gu attended 2018 Cold Spring Harbor Asia Autism & Neurodevelopmental Disorders meeting in Suzhou, China. Ben gave a talk about Angelman syndrome treatment opportunities and clinical biomarkers, and Bin shared his current study in the lab, which is “Ube3a reinstatement mitigates epileptogenesis in Angelman syndrome model mice”. Congratulations, Dr. HM Lee, Ellen, and Bram, for their new publication in Molecular Autism! 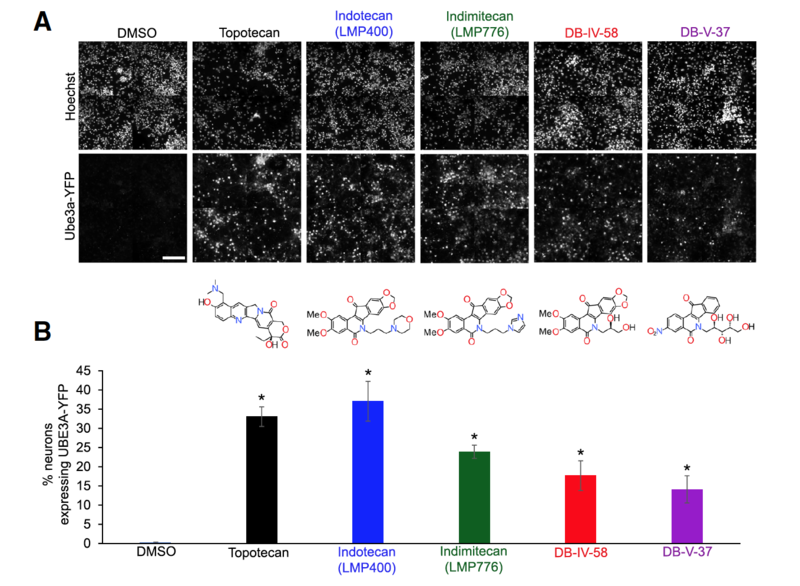 The publication provided pharmacological profiles of indenoisoquinoline-derived Top1 inhibitors as paternal Ube3a unsilencers. The authors tested all 13 compounds and showed effectiveness at unsilencing paternal Ube3a with variable efficacy and potency. Please click here for the full article. 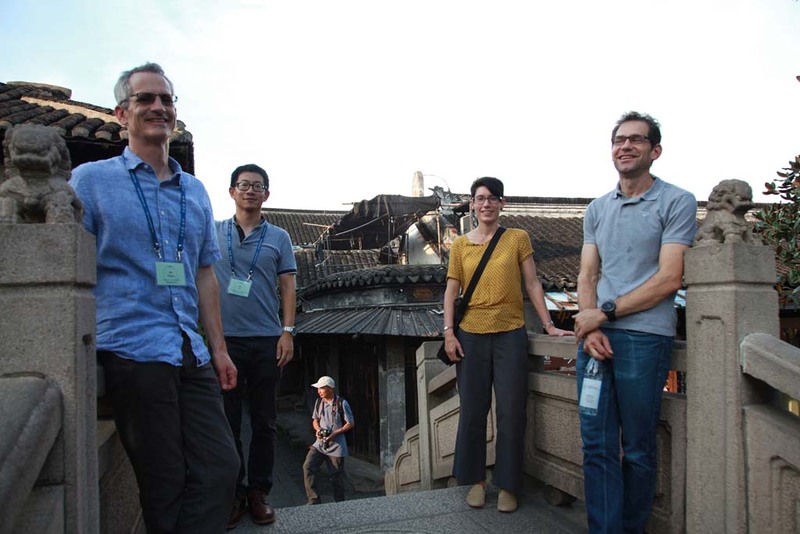 Dr. Ben Philpot and Sally Kim (graduate student) attended the Pitt Hopkins Syndrome (PTHS) Scientific Symposium & Family conference in June 21st and gave a talk about ongoing PTHS research, which you can also check on the PTHS page in our website. Ben and Sally had opportunities to talk to other researchers and families. Hopefully our work in the lab can lead to the therapeutic opportunities that make a difference in PTHS individuals’ lives! Congratulations to Hanna and Mike for their new publication! This is Mike’s second first author publication of the year!! Hanna was a visiting researcher from the Netherlands for 6 months. During her time in the lab, she collaborated with Mike and developed the automated approach to assess long- and short-range functional connectivity by measuring coherence across multiple frequencies during wake and sleep. 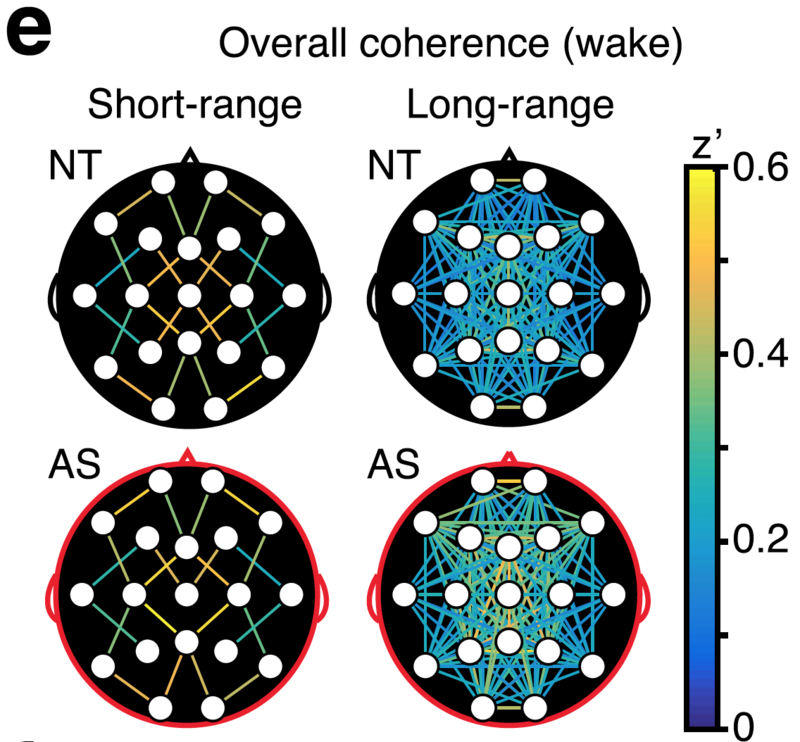 Using this program, they found that during wakefulness, children with AS showed enhanced long-range EEG coherence across a wide range of frequencies. During sleep, children with AS showed increased long-range EEG coherence specifically in the gamma band. Please click this link to read the full article. Congratulations to Mike for his new publication! The study focused on behaviors encoded by the prefrontal cortex, a region broadly involved in executive function and cognition, in the mouse model of Angelman syndrome. To read the article, please click this link. Congratulations on Courtney and Alex for the new Pitt-Hopkins syndrome (PTHS) publication on J Neuroscience! Courtney, Alex, and other authors generated two novel mouse models of PTH, which mimics the most common pathogenic TCF4 point mutation. 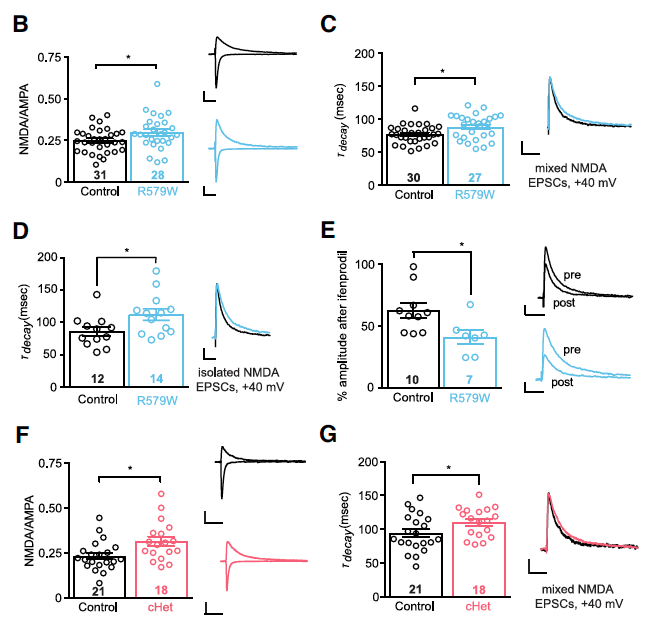 The authors thoroughly investigated behavioral and physiological phenotypes on those models and found that those mouse models exhibited hippocampal NMDA receptor hyperfunction. To read more detail, please click this link. October 7, 2017 was a big day for Logan’s family, especially for Logan. 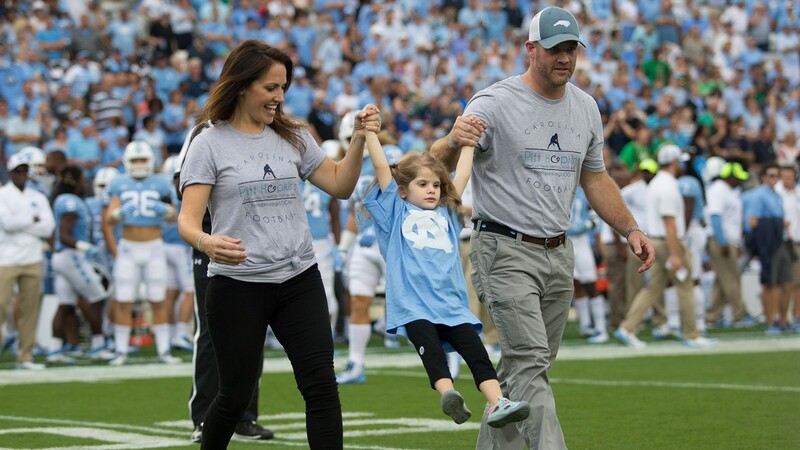 She was chosen by UNC Children’s Hospital for the coin toss at the University of North Carolina’s football game against Notre Dame. Logan was diagnosed with Pitt Hopkins syndrome (PTHS) in 2015, a rare genetic neurodevelopmental disorder caused by a mutation of a specific gene, TCF4. There are approximately 700 individuals diagnosed worldwide. Logan’s family took the opportunity to raise awareness of the disorder and to set the fundraising. Dr. Ben Philpot was invited to be part of Logan’s big day! 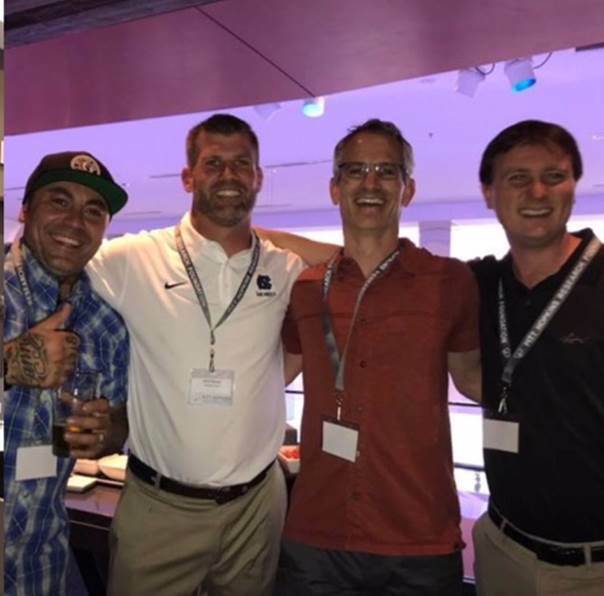 Congratulations to Dr.Matt Judson for his new publication in Journal of Neuroscience. Matt analyzed brain structure in a maternal Ube3a knock-out mouse model of AS. 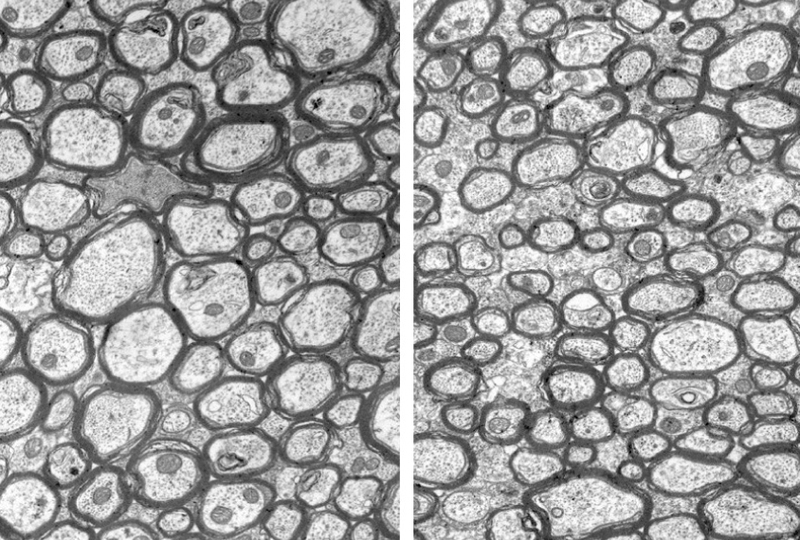 He reported that the volume of white matter (WM) is disproportionately reduced in AS mice, indicating that deficits in WM development are a major factor underlying impaired brain growth and microcephaly in the disorder. Congratulations to Mike for his publication in Journal of Neurodevelopmental Disorders. He rigorously quantified EEG abnormality in individuals with Angelman syndrome (AS) and AS model mice and pinpointed that delta rhythmicity phenotypes can serve as reliable biomarkers for AS in both preclinical and clinical settings. Congratulations to Sally Kim for being accepted to the prestigious Neural Systems and Behavior summer course at Marine Biological Laboratory! Please click the figure below to read the article. Congratulations to Kelly for her new Angelman syndrome publication! She found that neurons in the suprachiasmatic nucleus (SCN) maintain persistent expression of paternal UBE3A protein, suggesting a relaxation of Ube3a imprinting in the SCN that is not typical of most neurons. Her paper marks Philpot lab’s 5th publication of the year! Congratulations to Angie for her publication in PLoS ONE! She discovered Topoisomerase 1, creating cleavage complexes, -dependent and -independent control of gene expression and Ube3a regulation in neurons. Congratulations to Sally (Hyojin) and Portia for the new Angelman syndrome publication in the Journal of Neuroscience! 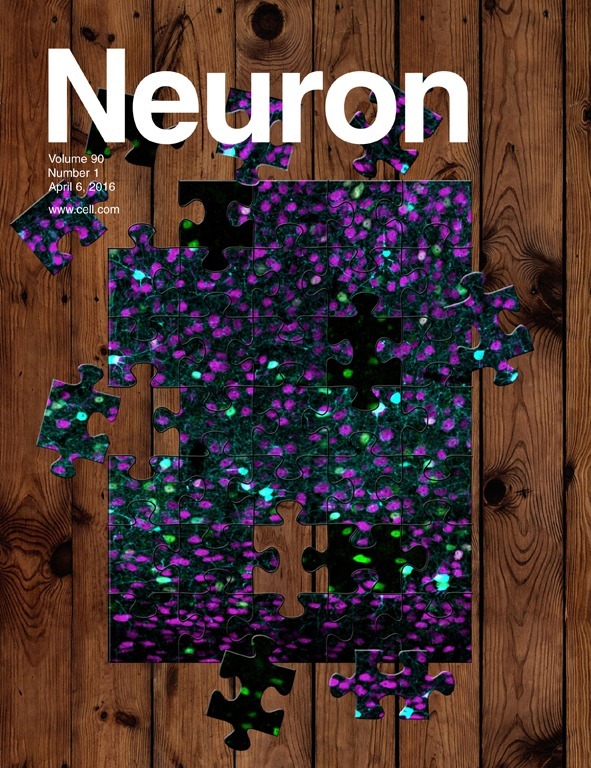 Dr. Matt Judson’s study is highlighted on the cover of the April 6th issue of Neuron. Click the cover image to the article. Congratulations to Dr. Matt Judson for his paper published in Neuron. 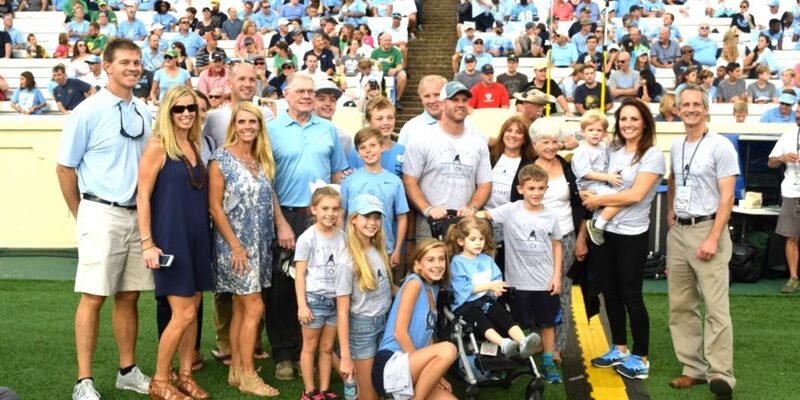 His discoveries are featured in the UNC health Care and School of Medicine news. Please click here to read the news article. To read the paper, follow this link. 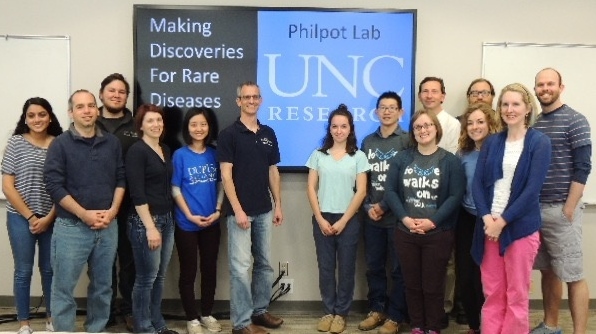 Our lab is supporting for Rare Disease Day! Rare Disease Day takes place on the last day of February each year. The main objective is to raise awareness amongst the general public and decision-makers about rare diseases and their impact on patients’ lives. The campaign targets primarily the general public and also seeks to raise awareness amongst policy makers, public authorities, industry representatives, researchers, health professionals and anyone who has a genuine interest in rare diseases. Visit the website for more info. 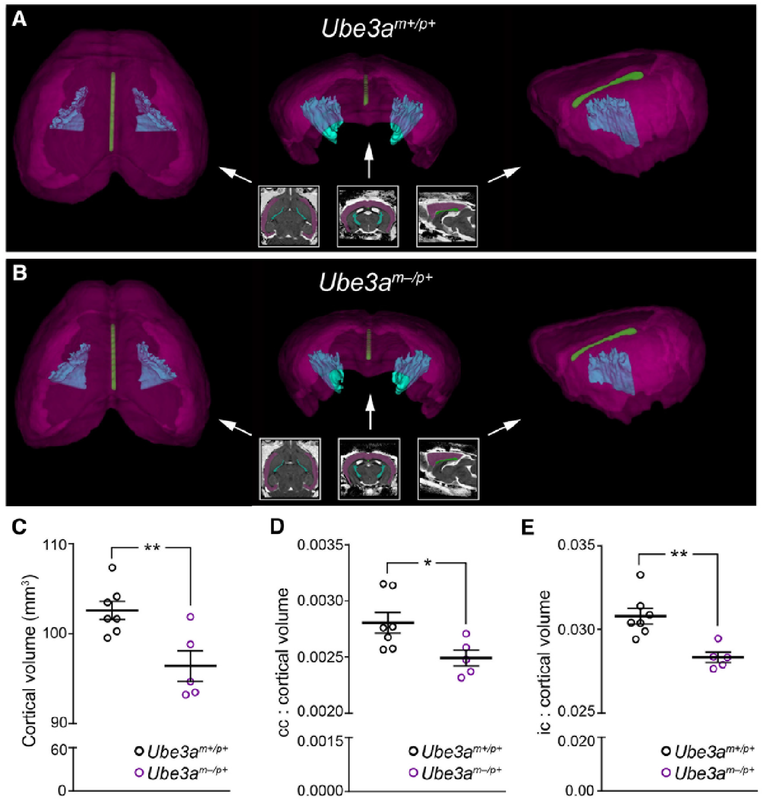 In a paper published in Nature Communications, Janet Berrios, a graduate student in the Philpot lab, discovered that the loss of UBE3A decreases the release of the GABA neurotransmitter and alters reward-seeking behavior in an important neural pathway once presumed to be principally regulated by the dopamine neurotransmitter. To read the article, visit the website. Mark Zylka, PhD, will serve as director and Ben Philpot, PhD, will serve as associate director of the UNC Neuroscience Center at the UNC School of Medicine, effective July 1. William Snider, MD, who has served as the center’s director for nearly 17 years, will step down from his leadership role, but will remain on faculty as professor of neurology, while also continuing his research.